Brick home in established neighborhood. Ready for a new family! This home features 4 bedrooms, 2 baths, hard wood floors, new appliances in the kitchen and new tile and vanities in the bathrooms. Fenced backyard, nice detached 2 car garage in addition to carport. 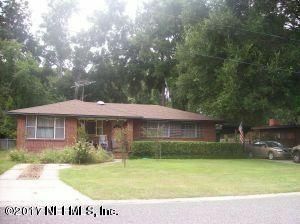 This home will be eligible for Down Payment Assistance for first time homebuyers and will not stay on the market long. Showings will begin on Friday, Dec. 8. This home has been on the market since Dec 03,2017. Courtesy of MAGNOLIA PROPERTIES.